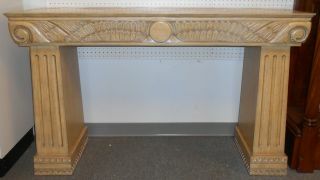 Art Deco Console Table. Stands 35" tall x 57" wide x 17" deep. Serious inquires Please contact us. Click on Picture to see additional photos.